When it comes to elderly care, you always want to be prepared in the case of an emergency. 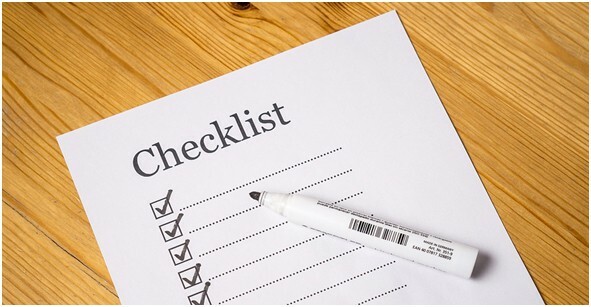 If you’re the caretaker of a senior citizen, you should have an emergency checklist on hand at all times to make your job that much easier. Knowing who to contact during an emergency can save the life of your loved one. Knowing which doctor to contact, what medication to administer, and what insurance information to provide can be complicated due to the sheer amount of information you need to provide. To help you prepare, we’ve compiled a list of the documents and information you need readily available so you can take action if an emergency occurs. Visual aids – If your loved one is visually impaired, place a cane with a whistle attached to it so you can rush to their aid if the need arises. Also, inform your loved one to move cautiously during an emergency just in case obstructions block their path. Have ID information on hand – You should be capable of showing emergency personnel ID information for your loved one as well as other relevant emergency information. If your loved one receives assistance from a home healthcare service – Contact your loved one’s provider and find out how they react to emergencies. Even if their services meet your criteria have a second service as a backup just to be safe. Put together a plan of emergency communication – Disasters are never predictable, and there’s a possibility you may not be able to get to your loved one to physically check on their well being. Plan ahead to have a way of contacting them in case of a major catastrophe. Investing in the senior-friendly phones offered by Greatcall will ensure your loved ones won’t meet with difficulties if they attempt to call someone during an emergency. Positive Greatcall reviews reflect their customer satisfaction, so you can rest assured you’ll be making a sound investment. With that being said, have a backup communication method in case phones and internet are down. Stock up on medicine – Talk to the doctor of your loved one and try to always have at least a week’s supply of prescription medications on hand at all times. Make emergency supplies easily locatable – It’s not enough for just you to know where the emergency supplies are located. Your loved one should also know where emergency supplies are located. For those who have dementia or Alzheimer’s – Even those who have severe cases of dementia or Alzheimer’s understand when something is wrong. Explain the situation calmly to your loved one. However, don’t inundate them with too many specifics as you may inadvertently confuse them. Be patient and tell them exactly what you need them to do even if this means repeating the instructions multiple times. Patience is key. Wheelchairs – If your loved one uses a wheelchair due to mobility issues, have a plan for how they will evacuate their home in the case of an emergency. If they use a motorized wheelchair, consider investing in a manual wheelchair as a backup. Hearing aids – Those who have a hearing disability should keep an extra pair of batteries in an easy to reach container near their bed to power their hearing aids. Reliable medical equipment – You can’t rely upon an emergency shelter to have the exact medical equipment you need to treat the specific needs of your loved one. Be prepared by having your own reliable medical equipment ready for transport at all times. This includes oxygen tanks and walkers. Invest in a fall detection device – One major concern for seniors is falling when no one is around. If they’re incapable of picking themselves up, they may be on the ground for hours or in worse case scenarios, days. Fall alert systems come in a variety of shapes and sizes and are essential if a senior is at risk at falling. Businesses such as Alert1 offer a variety of products developed to help seniors, including fall protection devices. Seniors deserve to maintain their independence. Even seniors with disabilities should be able to live alone if they so desire. Investing in a medical service such as Life Alert will allow seniors to maintain their independence without having to rely upon caretakers to look after their well being. Life alert systems offer a variety of life-saving services that includes shower emergencies, intrusion emergencies, mobile devices with GPS, and medical emergencies. Life alert pricing is affordable, especially when compared to the price of assisted living facilities. Life alert reviews are all around positive, making this a vital service to invest in. Another excellent medical service is Lifefone. Just like Life Alert, Lifefone offers life-saving medical alert services that allow seniors to live alone without the need of a caretaker. Lifefone offers products that include fall detection devices as well as at-home and on-the-go GPS devices. Lifestation is yet another similar medical service that offers fall detection devices, a protection plan for damaged equipment, family care services, and more. Lifestation is unique in that it allows you to customize the services on your plan. Medical Guardian is a medical service that promises low fees and top quality customer service. They don’t have long-term contracts, no hidden fees, and a price-lock guarantee. Phillips Lifeline Medical Alert was the first business to provide a medical alert service in North America and claims to be the largest provider of its kind. Phillips Lifeline offers similar medical services as the aforementioned businesses. If you’re fulfilling your filial responsibility by caring for your elderly loved one it’s imperative you create an emergency contact list. That way you’ll be ready if an emergency occurs.